Back to regular posting! A-Kon was a blast, but I’m really, really excited that my next big con isn’t until the end of August. I’m planning to attend A-fest for a day and another smaller con in July, but I don’t currently have anything new planned for those. 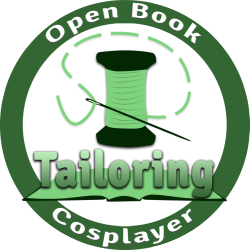 My apartment has been a cos-disaster for the last two months, so it’ll be nice to have some time for non-costume sewing. 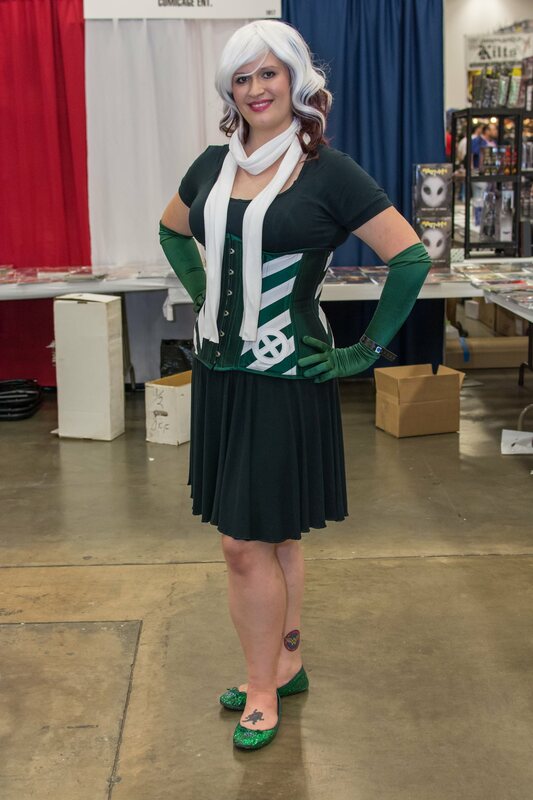 Full-body shot of my dress and corset from Dallas Comic Con. Photo courtesy of Alan Tijerina Photography. But speaking of costumes, let me introduce you to a dress that works both for costumes as well as casual wear: my new skater dress! A knit skater dress has been on my sewing to-do list for far longer than I care to admit. My initial inclination was to make Kitschy Coo’s Lady skater since the blog-o-sphere loves it so much, but I had one issue: I wanted princess seams (basically, I wanted to make my own version of this dress to wear under my nerdy corsets). I know it wouldn’t be *that* big of a deal to draft them myself, but before I purchased the Lady Skater, I stumbled across McCall’s 6754. Bonus: it was on sale for $1. Score! Pattern: McCall’s 6754, view D with the sleeves from view C.
Alterations: Finished the sleeves with the bands from my Renfrew. Make it again? : Most likely. I’d love to make a few more of these for work and play. Favorite parts: Comfort, quick finish (around 4 hours), twirl-friendly skirt, flattering bodice. 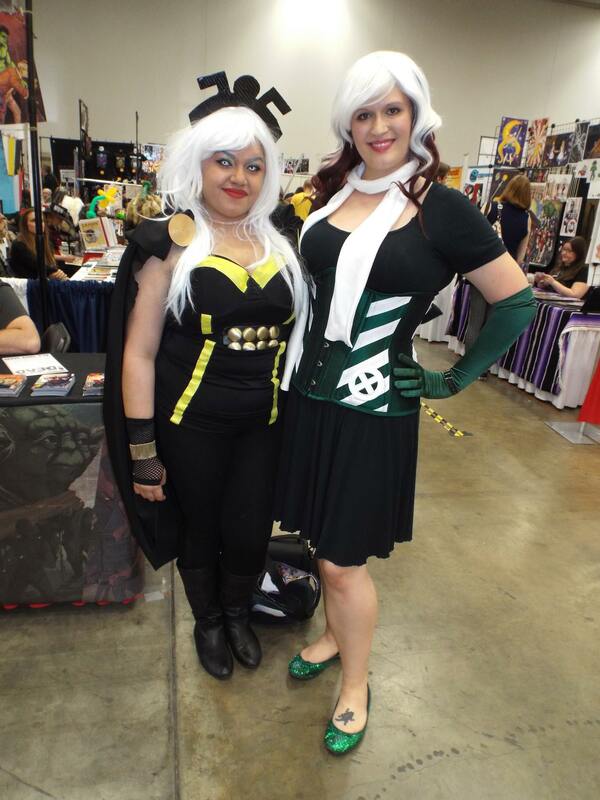 X-ladies unite! Ran into a great Storm when I wore this outfit on Friday. Other thoughts: For the most part, this is a quick and easy project to put together. My measurements would have put me at an XL, but I went off of my high bust instead and cut a L. Definitely a good call, since I would have drowned in an XL. A few other bloggers noted bagginess in the sleeve area, so I went ahead and lopped off an extra 1″ of the sleeve seam. The pattern calls for an elastic casing at the waist to stabilize the skirt. It’s definitely necessary with the weight of the skirt, but I found the casing instructions a bit ridiculous. Instead, I just used clear elastic, much like the instructions for the Moneta. The pattern also calls for a narrow hem on both the neckline and the sleeves. I decided to finish them off the the bands from my Renfrew. This worked well enough for the arm bands, but my neck band got all kinds of twisted (I mostly blame the fabric). Rather than rip my serging out and make the neckline scandalous (for work, anyway), I just folded my crap-tacular neck under and finished it off with my twin needle. Scandalous neckline is extra scandalous in corsets. I wanted to finish this dress quickly, so I finished the skirt of the dress with a rolled hem, courtesy of my serger. It’s not as neat as I’d like, but it’s fine for a mostly play/weekend skirt. Overall, this is a great instant-gratification project. I’d love to hack it with my Renfrew to make a cowl-neck dress when we get closer to fall. I’ll still make a Lady Skater at some point, just because knit dresses are the best (and I love supporting indie pattern makers). They’re so easy to dress up or down and are absurdly comfortable. My main purpose with this dress was to have something to wear under corsets, but I’ve worn it at least once a week since making it with cardigans, scarves, tights, funky belts, and more. EDIT: Details on the rest of the outfit for the curious. The corset is by Lauren of Castle Corsetry. Great customer service and this corset is gorgeous. Very well made and very pretty. 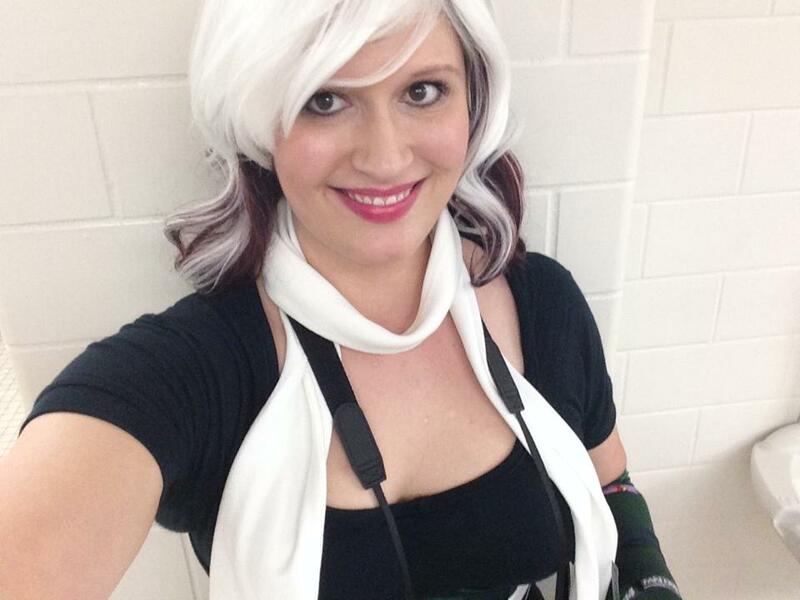 My wig, scarf, gloves, and shoes are all cobbled together from previous Rogue costumes. Have you guys tried this pattern yet? Great title… great dress! Love the corset too! Thanks, Laurie! The corset is by Lauren from Castle Corsetry. Her corsets are absolutely stunning. I want one of her House Targaryen ones next!